Whenever I purchase a stake in a company my plan going in is always to hold for the long term. Essentially I want to treat my positions as if I owned the whole business and avoid the temptation to trade in and out of positions depending on Mr. Market's moods. However, sometimes it seems right to make some sales. My decision to make these sales were partially for tax loss harvesting, although there wasn't much, as well as I had soured on the positions some. Although the primary reason was that frankly my portfolio, or rather number of positions, was becoming burdensome. My FI Portfolio had grown to 55 different companies and while I understand the benefits of diversification I felt that there was likely better use of my time and capital. The problem lies in the fact that many of my positions were only purchased in one or two chunks, and the last 3 years or so of not being able to invest didn't really help the matter, and as such the positions just weren't that large. With very little capital at stake/risk it led to me not really wanting to go through the hassle of doing anything more than a very cursory examination of the businesses each year. I've closed 4 positions total over the last week or so and there's a few more that I'm very seriously contemplating closing but need to decide before the end of the year. I went over the first 2 sales last week and will cover the other 2 here. I initiated a position in CBOE Holdings earlier this year in February and hate to have to close this position already. I reinvested the 4 dividend payments I had received which added another 0.228 shares to my position. This was definitely NOT one of my better investments. I turned my $2,341.63 investment into $1,997.88. That's a total return of -17% with an internal rate of return of -19.6%. Ouch and double ouch! With a $423.75 loss in less than a year I figured it made sense to go on and close the position to harvest some losses for taxes. It's not much since the position and therefore loss was relatively small; however, every little bit helps. The secondary reason was that the position was small and I didn't have extra capital to allocate to it at the time although I'd be more than happy to add CBOE back into my portfolio in the future given a good valuation. Since I only initiated my position in CBOE Holdings earlier this year and there's not at least 2 fiscal years of data to go off of for the metrics I've shown the last 5 years in the above table. Revenue has grown substantially over the previous 5 years to the tune of 290% and 362% through the TTM period. That hasn't been purely organic growth as CBOE has been making acquisitions; however, that's amazing growth. Net income, operating cash flow and free cash flow haven't matched the growth in revenue although I believe that they should start catching up over the new few years. The dividend has grown tremendously as well with annual dividend growth routinely coming in above 10% year over year. 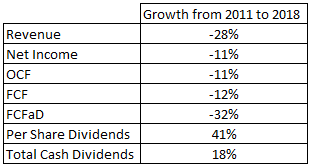 The 5 most recent fiscal year dividend growth rates have been 18%, 13%, 9%, 8% and 12%. Even with the rapid dividend growth the payout ratio based on earnings and free cash flow have essentially held steady over time. There's a lot to like about CBOE holdings: low payout ratio, high free cash flow margin in the 15-20% range, high free cash flow conversion 90%+ and of course a rapidly growing dividend. All of that in conjunction with the expected earnings growth of 14.8% per year for the next 5 years makes it rather attractive and why I would consider adding CBOE back into my portfolio come late January if the valuation makes sense. The sale of CBOE Holdings reduced my FI Portfolio's forward 12-month dividends by $26.32. I first purchased 35 shares of Emerson Electric in July 2012, then reinvested the first 7 dividend payments into an additional 1.804 shares. In September 2014 I added another 25 shares of Emerson Electric to my portfolio and then took the rest of the dividend payments in cash. When I originally purchased shares of Emerson I figured they would be a nice steady, eddy position. I didn't expect the business or dividend growth to do much better than 5-8% growth, but I have to say that I was disappointed with the way things worked out. I was able to turn my $3,172.20 investment in Emerson Electric into $3,480.75 proceeds from the sale and an additional $842.69 in cash dividend payments. That puts the total return at 27% with an internal rate of return of 4.8%. Not bad but definitely nothing to brag about. At this time I have no plans to add Emerson Electric back to my portfolio. The dividend growth streak is fantastic at 61 years; however, growth just hasn't been there and the business has really struggled. The following table gives a quick look at how Emerson Electric the business has performed since I first invested capital in 2012 and covers growth/decline from the end of FY 2011 through the end of FY 2018. All of the relevant metrics have shown a decline from 2011 through 2018. 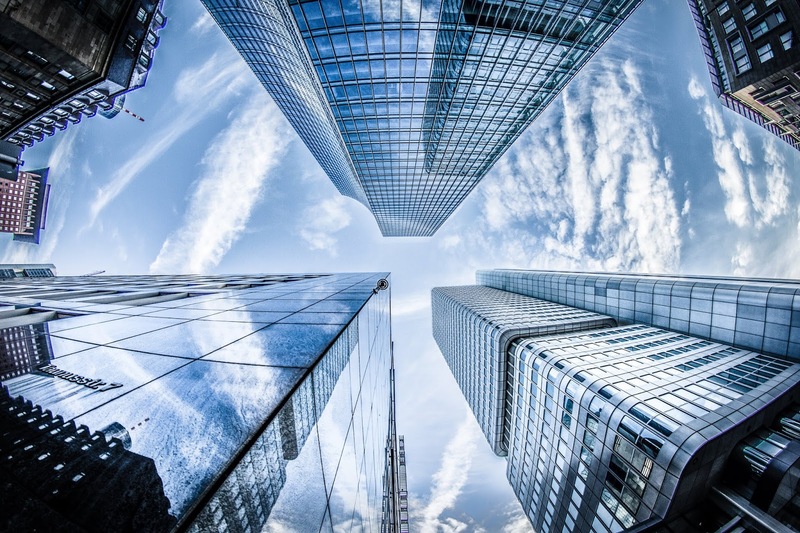 With declines for revenue, net income, operating cash flow and free cash flow it shouldn't be surprising to see that dividend growth has ground to a halt. Annual dividend growth for fiscal year over fiscal year with fiscal year 2012 has been 15.9%, 2.5%, 4.9%, 9.3%, 1.1%, 1.1% and 1.0%. Combining declining profits and cash flow with a rising dividend the payout ratio for both net income and free cash flow has risen from ~41% in 2011 up to ~55% for 2018. The dividend is still safe at this point, but I think there's likely much better opportunities out there. I should have sold shares earlier this year when Emerson was trading above $70 and the valuation was quite rich given the struggles of the business, but I failed to use that opportunity. Live and learn. The sale of Emerson Electric reduced my FI Portfolio's forward 12-month dividends by $121.14. These 2 positions provided $147.46 in annual dividends which I don't want to see go; however, I'm playing for the long game here so I think this was the prudent move. My cash buffer increased by $5,478.63 from these sales. The proceeds from all 4 sales that I've completed so far is $10,462.39 which is a nice chunk of cash to work with should the markets continue to move lower. 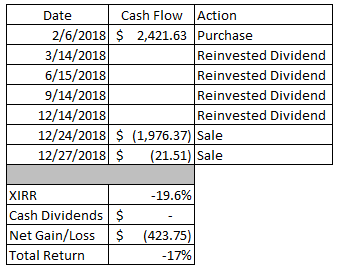 In order to replace the "lost" dividends from these sales I'll need to invest the entire amount at an average yield of 3.01%. A few companies that I'm considering are Costco (COST), Visa (V), Altria (MO), Becton Dickinson & Company (BDX), J.M. Smucker (SJM), BlackRock (BLK) and PepsiCo (PEP). Have you been tax loss harvesting? Did the bull market of the last 10 years let any positions creep into your portfolio that probably shouldn't have? What companies have you been buying or are you looking to buy at current prices? Hi JC -- "cleaning house" house is great, especially if you have 3 out of 4 winning positions. As you mention, it doesn't do much for tax-loss harvesting, though. Of your sells, I own CMI and TROW. Annualized returns of 7% and 12%, respectively. Considering the recent market action, I'm not unhappy with those returns. But perhaps I should look at CMI to see if those funds can be deployed better. As for TROW, I'll hold my shares for the time-being. Yeah tax loss harvesting was only the purpose of the sale for just 1 of the positions, well 2 with my upcoming post about the last sale I made. I'm looking at picking up some BLK to replace my TROW position. I still like the asset management business and see no reason for it to slow down. Plus BLK is a leader in the ETF space and should still benefit from a further shift towards passive investing. I figured there would be a nice loss in Part 2 and you delivered. I was not expecting to see you sell EMR, but I can understand your thought process. It has been one of my more frustrating holdings as well. I did an analysis on SA and when I pulled back the layers, I saw that a ton of their capital is going to acquiring other companies . I wish a little more would have been returned via dividend and just hope the acquisitions will generate the future cash flow they are expecting. Again, happy restructuring and selling. EMR has been a disappointment and I pretty much earned roughly 1% per year from the shares with the rest coming from the dividends. Considering the run the market has been on since I purchased in 2012 something just wasn't adding up regarding the business. I'm not a big fan of the acquisition strategy because it rarely creates value for existing shareholders. Add that on top of the declines in revenue, net income, OCF, FCF and FCFaD and it just didn't look all that good and I figured that capital could be put to better use elsewhere.